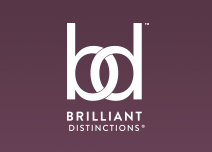 Click on Brilliant Distinctions to enroll or manage your points. Laser Day Hair Removal Special - Purchase one site, receive $25.00 off second site. Latisse - Instant Savings of $25.00. Must be a Member of Brilliant Distinctions. Filler Special - Purchase one syringe of filler, receive $50.00 off second syringe. Skin Care Products - Free gift with purchase of $150.00 or more. Esthetic Special - Purchase series of three peels, save $75.00!